On July 16th, 2007, a 14-month-old boy in Minnesota was airlifted to an intensive care unit after suffering 1st and 2nd degree burns to more than 13% of his body. While reaching for his bottle at daycare, he unintentionally pulled the cord of a slow cooker used to warm his formula. In pulling the cord, the slow cooker tipped over spilling scalding hot water onto his head, neck, shoulder, chest, and back. Slow cookers used for warming infant formula can be found in a large percentage of childcare centers throughout the United States. Childcare providers use slow cookers instead of more traditional bottle warmers because they can quickly warm several bottles simultaneously by simply placing a prepared bottle into a hot water bath. Providers typically fill the slow cooker with water and turn it on first thing in the morning. Researchers at the Department of Trauma and Burn Services at the Children’s National Medical Center have identified the most common cause of unintentional scald burns as hot liquid spills from a countertop or stove. In the childcare industry, most of these spills tend to be closely connected to the improper heating of formula. Almost all slow cookers manufactured in the US don’t have breakaway cords. Magnetic breakaway cords have been required on fondues and home fryers for more than a decade. They are required by law because of the very real possibility of accidentally pulling scalding hot liquid onto yourself. Sound familiar? Slow cookers are heavy. Most standard-sized slow cookers weigh somewhere between 12 and 15 pounds. So in addition to being covered in scalding hot water, a child has something that weighs more than they do fall on top of their head. Severe contusions are not a rare occurrence in these devastating injuries. Most slow cookers don’t have programmable temperatures. The traditional “Warm”, “Low” and “High” settings on a slow cooker provide very little control over the actual temperature of the contents. Slow cookers, even when set to “Warm”, can easily reach temperatures in excess of 160° F.
Children have very sensitive skin. Did you know an adult would sustain 3rd degree burns if they were exposed for 5 seconds to a liquid hotter than 140° F? As we mentioned above, many slow cookers easily reach temperatures in excess of 160° F… even on the lowest setting. A child’s thinner skin means these burns happen much faster and burn much deeper. Clothes and diapers trap the scalding hot water. If a child is covered in scalding hot liquids the scarring is made much worse by the fact that the child’s clothes trap all of the heat against the body. Trapping the heat means the skin is burned for longer and at higher temperatures. And to make matters worse, the extremely high water temperature can cause the skin to literally peel from the body when trying to remove the clothes. The safest alternative for warming a child’s formula is leaving the bottle at room temperature just before feeding or running the prepared bottle under warm tap water. 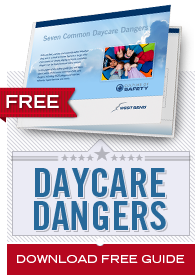 Even when installed in a safe location with the cord out of reach, a slow cooker can cause serious harm to a child, parent, or childcare provider. It is worth noting that a microwave should never be used to heat infant formula. Although a microwave may get the job done quickly, it does so inconsistently. Pockets of extremely hot formula can make the temperature vary greatly in between sips. Microwaves can also damage bottles which result in piping hot formula spilling on a child.